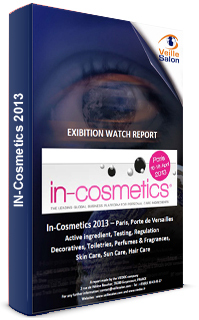 Abstract – PCD 2013 This year, PCD & Aerosol Forum has once again been “the place to be” actors in Paris cosmetics. These two events are now held in parallel to allow visitors a comprehensive overview of the latest developments in their packaging sector. The two major trends of this year were unsurprisingly respect for the environment with the development of airless solutions which limit the use of preservatives, bio-based plastics, the arrival of aerosols and plastic solutions sets more flexible as the sleeves and the In-Mold-Labeling. 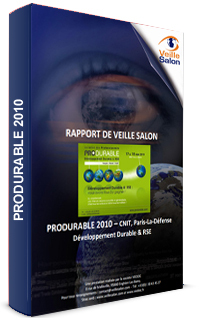 Another trend for cosmetic packaging is still and always practicality, with packaging 2-in-1 that sophisticated.. 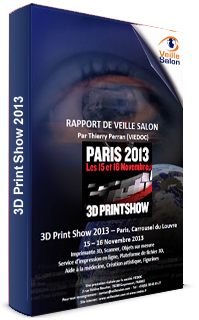 Thanks to register to download. Revolution Slider Error: Slider with alias rapports-veille-en not found. 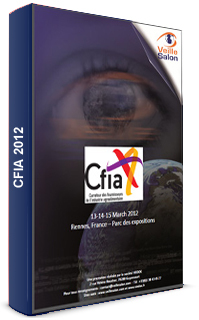 Abstract – CFIA rennes 2012 CFIA has now become the place to be and go for professionals of the food business. 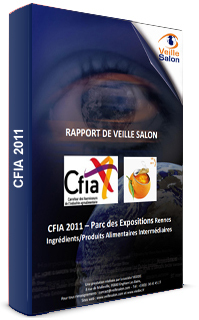 Indeed, this is the only exhibition in France gathering under one roof the whole of the food industry suppliers providing Ingredients & Additives, Equipments & Food processing and Packaging. Some of the packaging solutions shown, like wooden or paper baking molds, are definitely only aimed at the food industry. 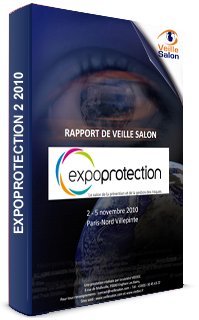 Other packages on display however could very well be used in many other industrial sectors with or without any adjustments as the trend for lighter, more efficient and eco-designed packages is seen across all sectors. Backed by growing customer demand for more environmentally friendly products, sustainable packaging is now sought by many companies that see in them a way of possible cost saving and definite sales increase.. Thanks to register to see the report. Abstract – JEC Europe 2013: The JEC Europe 2013 composite show, held in Paris on 11th  14th March, 2013, covered the sectors major topics: mass production, thermoplastics, smart composites with embedded sensors, new applications, the environment, and recycling. Clearly, the trend in the composite world is on large production, and most notably thermoplastics. The idea is to find more and more applications for cheaper thermoplastics, that can be handled efficiently through RTM processes. Indeed, it is estimated that the composites market will grow at an average annual global rate of 6%, to reach a value of about 90 billion and a volume of 10 million metric tons by 2015 (compared to 80 billion and 9.2 million MT in 2012). However, there are still outstanding innovations for thermosetting materials, which are mostly based on faster curing ways. Henkel is pushing polyurethane resins to the detriment of epoxy resins, because polyurethane can be cured five times faster than epoxy. It should be interesting to see if polyurethane resins will become the standard materials for thermosetting material for RTM processes in the future. 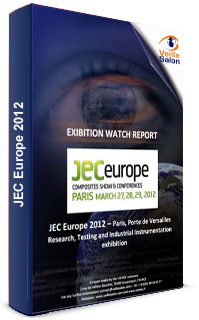 In terms of sectors, the automotive industry really brought it the next level in the JEC Europe 2013 exhibition show. There were numerous demonstrations that suppliers are perfectly able to keep up with the output demanded by the automotive industry, and 70% of the parts shown in the Exhibit Area were related to automotive transportation. The most impressive innovation came from BMW, which find a way to produce car body parts made of CFRP in less than 10 minutes for curing. This composite will be used in the mass produced electric car named BMW i3, which will feature an estimated sales price of 40 000 by November 2013 ! 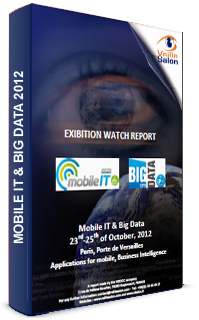 According to the organizers, the exhibition Mobile IT and Big Data have not attracted many visitors. Big companies like Orange, SFR, Bouygues, Free for telecoms or like Intel, Dell, IBM for Big Data were absent. But the conferences on the evolution of these sectors have been very successful. 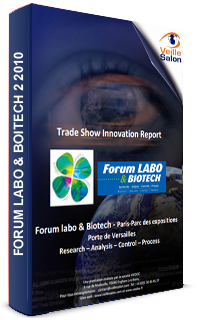 In a gloomy atmosphere where visitors and exhibitors talk openly about tiny budgets for information technology, some sectors, however, were quite healthy and innovative. This was the case for equipment manufacturers and developers of next generation telephony, or web provider. There were some impressive innovations in the field of smartphones coming from a large number of young companies, specializing in mobile business solutions. The advent of smartphones and tablets is revolutionizing enterprise mobility. Judicious use of interfaces from the video games industry brings playful applications, which allows more friendly use by customers. We talk about “gamification” phenomenon, which is about to commercially explode in the short term. Conferences on Big Data grew quite a crowd and allowed visitors to discover an emerging sector that should weigh heavily in the development of enterprises. In only 10 years, the amount of data increased exponentially. Data storage is a costly problem for businesses, but these data are relatively untapped by companies. The idea of big data is to create added value from very diverse data. People now talk about flows, exchanges, collaborations rather than storage. Nothing is sorted but everything can be found. Big Data (from 10 TB of data) is revolutionizing the infrastructure in information technology. Environments such as Hadoop provide flexibility in resources and adapt to the workload by adding inexpensive servers in parallel. Big Data has generated a turnover of $ 17 billion in 2011 and it is estimated that this figure will double by 2016. The great debate with big data is to find a balance between data transparency and privacy of citizens.. The JEC Europe 2012 composite show, held in Paris on 27th  29th March, brought together 1,181 participating companies and occupied an unprecedented surface area of 50,000 m2 (538,195 sq. ft., or 8 times the size of a football pitch! 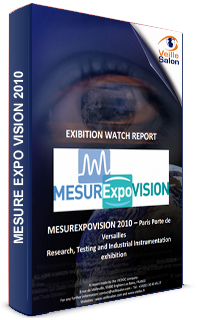 ), which is five times bigger than any other composite exhibition in the world. 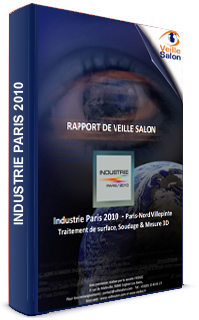 In 2012, attendance increased once again, with a total of 32,256 visitors, as compared to 29,867 in 2011, testifying to the appeal of this platform for the composite market. Environmental concerns and an overwhelming desire to be seen to be first with composite solutions were apparent at the JEC Europe 2012 show. Traditionally, automotive and construction have been the main industries driving innovation in composites in Europe. At this year’s JEC Europe show, however, many composites suppliers were pursuing the material’s enormous growth in wind turbines and the increasing popularity of biocomposites. 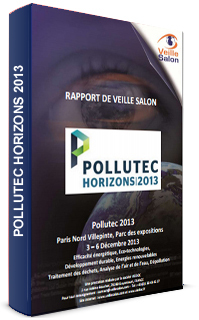 Abstract Pollutec 2013: Pollutec 2013 was held from 3 to 6 December 2013 at the fairgrounds in Paris -Nord Villepinte, where no less than 1194 exhibitors (French 819) from 28 countries were able to disclose their activities in sustainable development. 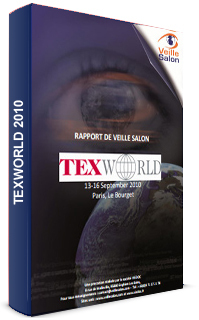 This 2013 edition is still pointed out by the illustration of the economic crisis, which began to last well beyond predictions and eventually begin the cash many companies. Thus, it should be noted that the general atmosphere was not out innovation, but rather streamlining, cutting waste, continuous improvement, etc. During his visit to the opening of the exhibition, the Minister of Ecology, Sustainable Development and Energy , Philippe Martin, has set the tone, praising the circular economy that works to close the life cycle of products, through inventory optimization, material flow, energy, waste . In other words, the trend is eco -design, incorporating an early stage production sustainability concerns, reuse or recycling. (…). 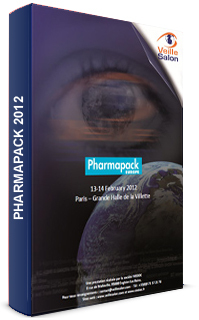 Abstract pharmapack 2012: At Pharmapack Europe 2012 we saw this year that compliance is a big topic amongst suppliers of packaging solutions for the pharmaceutical industry. Many packaging solutions for this industry now go far further from their primary function of protecting the content, and include features like easy dosage and application, child resistance, senior friendliness and tamper evidence. Electronics is also making its way towards providing intelligent information to patients to improve compliance. The other major trend that we have noticed is the increasing use of lighter and safer polymer materials for applications where glass is traditionally used like for bottles, vials and syringes. 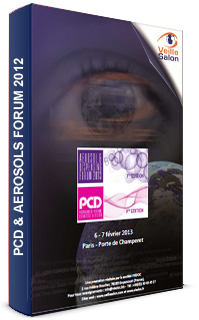 This year, the PCD congress-exhibition was held along with the Aerosol&Dispensing forum. During the two days event, we saw that in addition to promoting and protecting the product, packaging provides more and more for easy delivery and application. Indeed, user friendliness and easy dosing packaging is a big trend along with solutions allowing preservative free formulas. Just like last year, the respect the environment was also high on the agenda, with greener glass container production, bio-based polycarbonate-replacement and fully or easily recycling packaging. Asian customers are fond of electro-packaging and some believe that this is another major trend for the coming years in the European market. Finally, communicating packaging with QR codes for instance is proving to be a very powerful tool that brands can use to interact and communicate with customers before, and after purchasing..
Cap Robotique is the first business cluster in France dedicated to the robotics industry and was the topic of the Genesics2 forum, held in Paris on the 7th of February, 2011. Cap Robotique is opened to every company or laboratory which wants to bring its expertise to the French industry of the domestic service robotics. The cluster gathers yet prestigious protagonists like the CEA LIST or the CNRS LAAS, but also various innovative start-ups, recognized experts of their fields, like Gostai, Robotswin or Workfly. 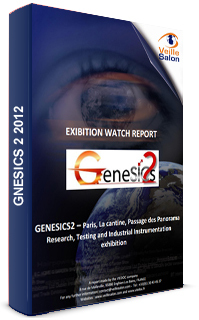 Even though, Aldebaran Robotics was clearly the star company in the Genesics2 forum, held in Paris on the 7th of February 2011, many promising French companies showed up and exhibited their robots to the audience. Most of these robots are affordable (from 3 000 to 12 000 ) and were developed to provide services to people. Unlike robots made in Japan, the French are not highly expensive units, stored in R&D departments in universities and big companies. Indeed, the French way of making robots is now well known in the world and France is considered one of the top countries in the robot industry. Expectations are really high for the French robot companies, as they have developed a very expertise. This should lead to good business opportunities in the years to come.